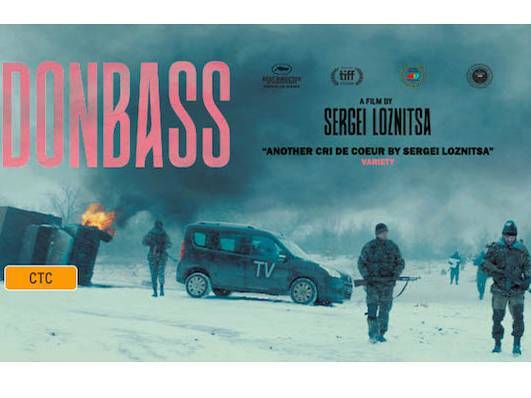 Synopsis: In the Donbass, a region of Eastern Ukraine, a hybrid war takes place, involving an open armed conflict alongside killings and robberies on a mass scale perpetrated by separatist gangs. In the Donbass, war is called peace, propaganda is uttered as truth and hatred is declared to be love. A journey through the Donbass unfolds as a chain of curious adventures, where the grotesque and drama are as intertwined as life and death. This is not a tale of one region, one country or one political system. It is about a world, lost in post-truth and fake identities. It is about each and every one of us.